Quarry Park and Bob’s Knob are beautiful places in their own right, but also form part of an extensive trail network that eventually leads to the Fairy Fen Nature Reserve. As time passes, though, nature takes its course and trees and shrubs grow over the trails and begin to obscure the views. 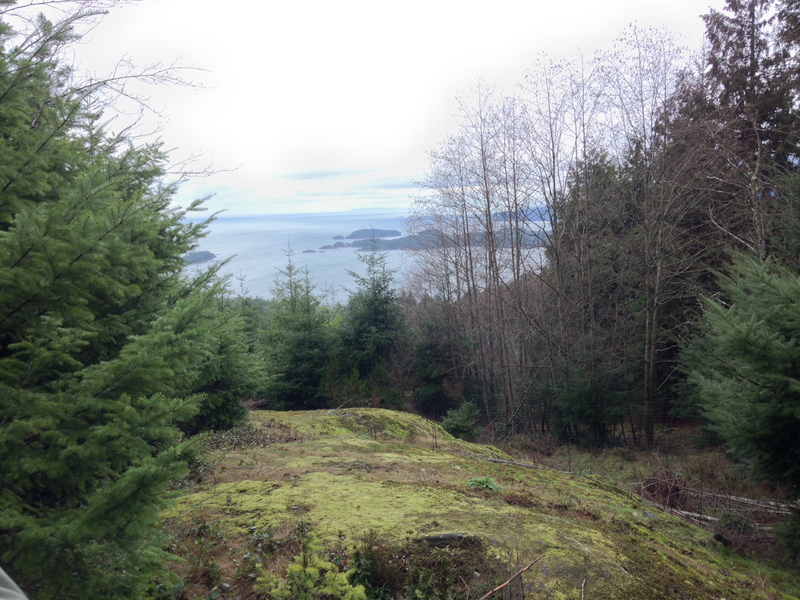 As well, an increase in visits to Bob’s Knob has the potential to damage the fragile moss ground covering. 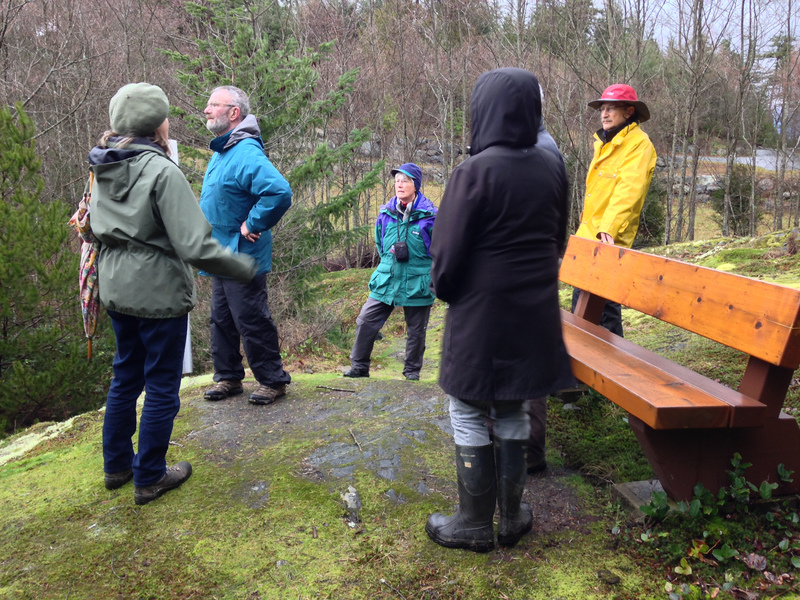 On Friday, 19 February, the Conservancy was invited to walk around the trail network with members of the Bowen Island Community Foundation, the Parks. Trails and Greenways Advisory Committee, and Josephine Riley (who was instrumental in the original development of Quarry Park and who was a Conservancy Board member for several years). We spent some time looking at possible locations for viewpoints overlooking Quarry Park, and then moved on to Bob’s Knob to think about options for a viewing platform and upgrades to the trail down to Fairy Fen. With several alternatives in mind, we’ll be discussing a way forward in the coming months.